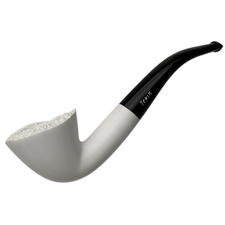 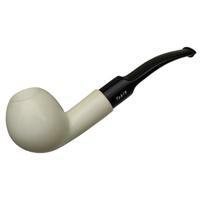 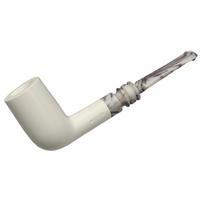 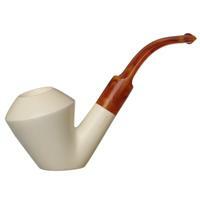 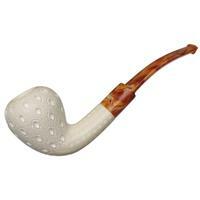 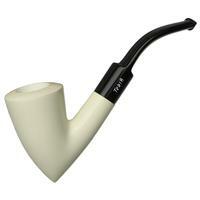 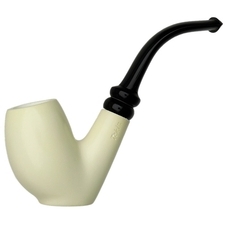 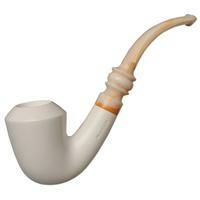 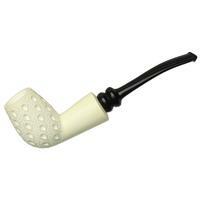 A jaunty, Danish styled bent Dublin is seen here carved out of meerschaum by Tekin. 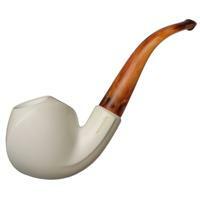 The craggy rim has been rendered to emulate a briar's natural plateau and provides a diverse visual texture to the otherwise smooth piece. 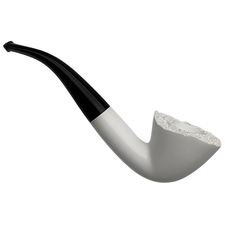 Chamber Depth: 1.02 in./25.91 mm.